Creative design and digital agency, Green Robot Design, has been appointed to handle all marketing collateral creation for Maftown Heights. 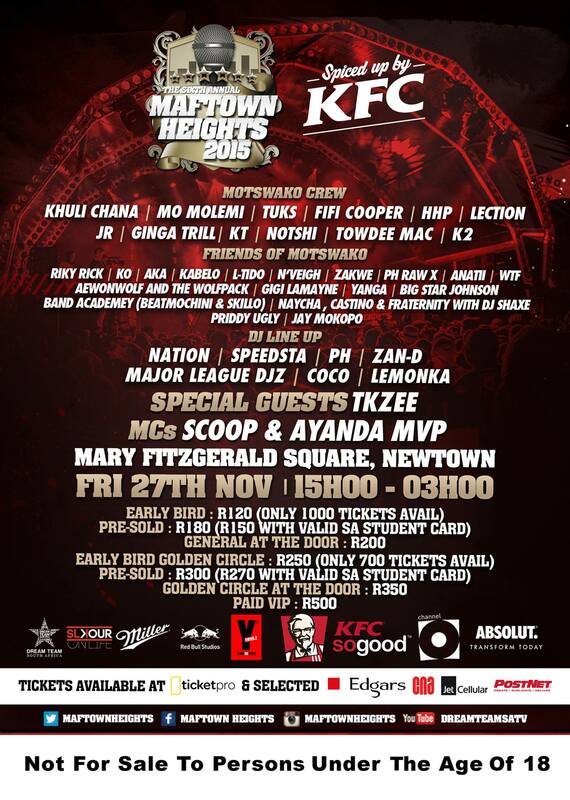 Maftown Heights is known as one of SA’s key hip hop calendar events and one of the premier hip hop festivals on the continent. “We thoroughly enjoyed working on the design element of Maftown Heights. It’s an awesome experience creating eye-catching visuals for such an awesome authentic event,”says Green Robot Design Creative Director Kgomotso Mautloa. Green Robot Design is a new-age, youth-driven and creative design agency. We are firm believers in turning thoughts into functional ideas that will leave a lasting impression. We take thoughts and ideas, and turn them into communication channels that speak to the values of each brand we work with. Every piece of work that leaves our office is a catalyst for what the client wants, that both reaches, and speaks to the consumer.